Thank You to the Friends of TMHPR!! 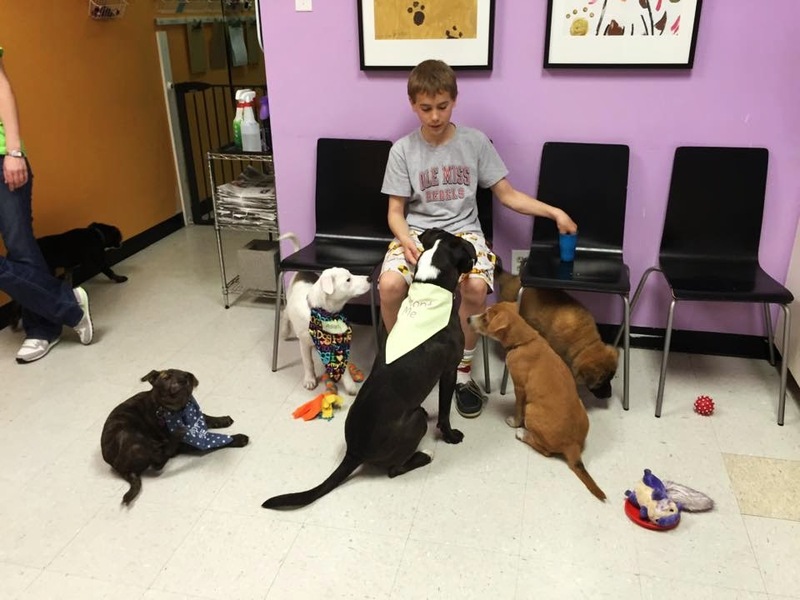 Didn’t our dogs & cats look fancy at last week’s Meet & Greet!! A huge thank you to those who used their talents to sew and embroider these bandanas for our rescues to wear or to hang on their leashes when out on a walk. Zoey, Benedict & Sugar all wearing their bandanas at Meet & Greet. 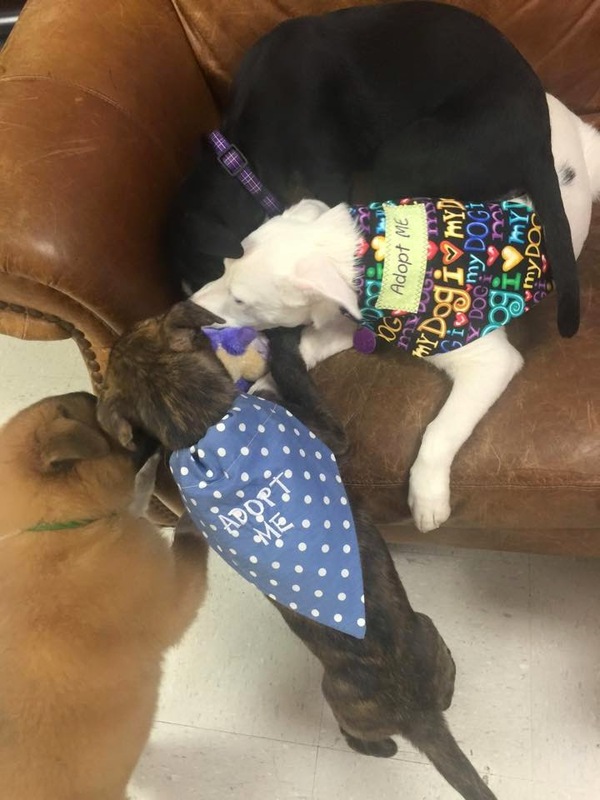 Take Me Home Pet Rescue (TMHPR) was lucky to be the recipient of these beautiful, hand-made bandanas. We dressed our dogs & cats for our Meet & Greet event, then our foster parents took them home to use as flags on their leashes. What a great way to easily let the public know that these babies are available for adoption while out socializing the dogs!! It also opens the door for questions about our organization!! 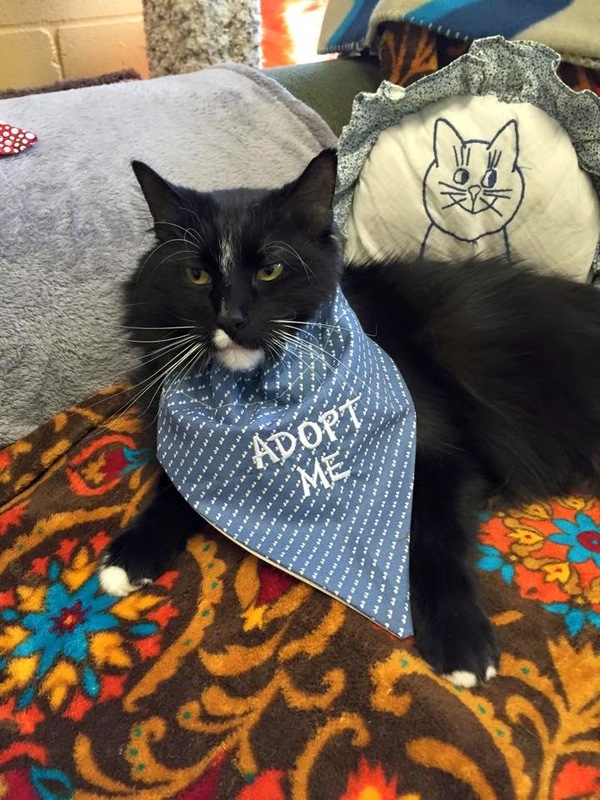 Mr. Whiskers was wearing his bandana for Meet & Greet. 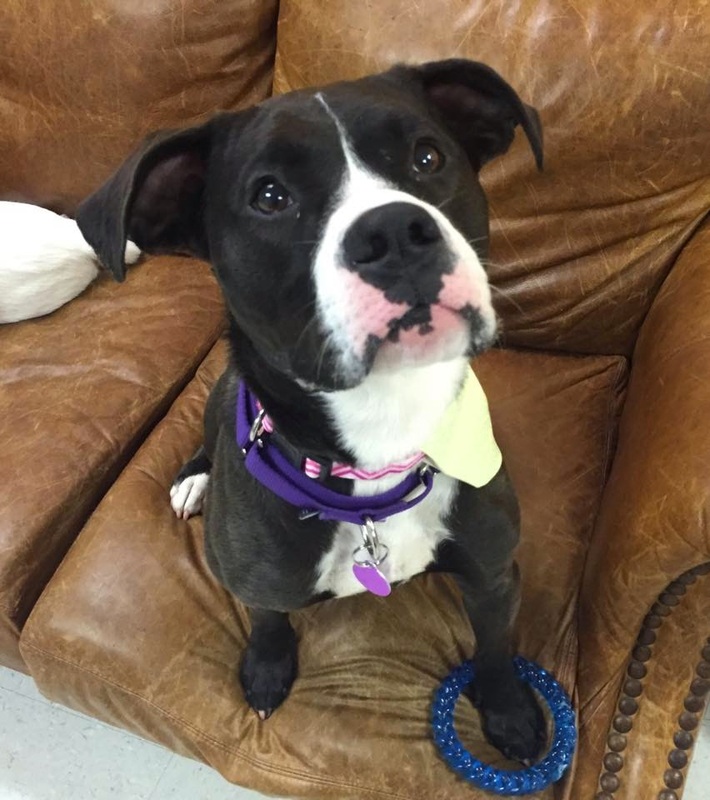 Beautiful Zoey waiting for her Forever Family to find her. 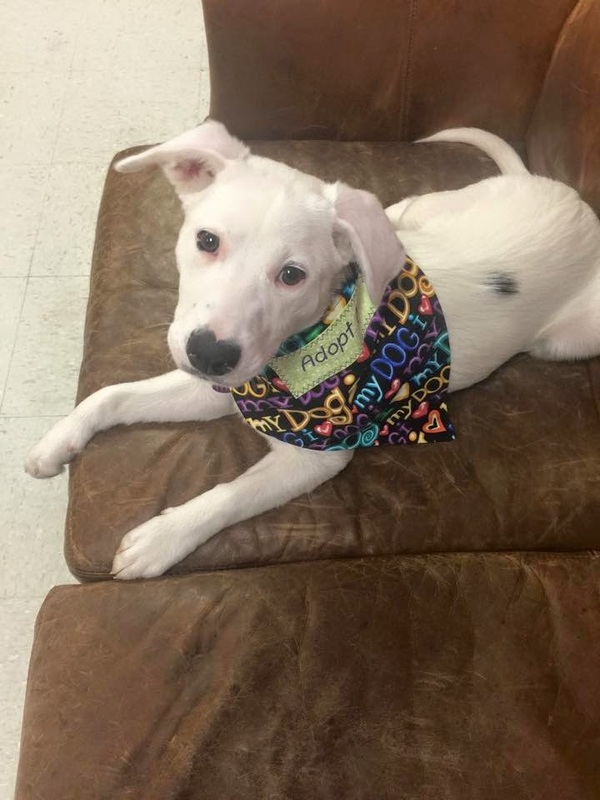 Sugar’s colorful bandana is beautiful on her white coat! Benedict joins in the fun with his polka dot bandana. And here is Macy posing with a donor who stopped by from UT Dallas. 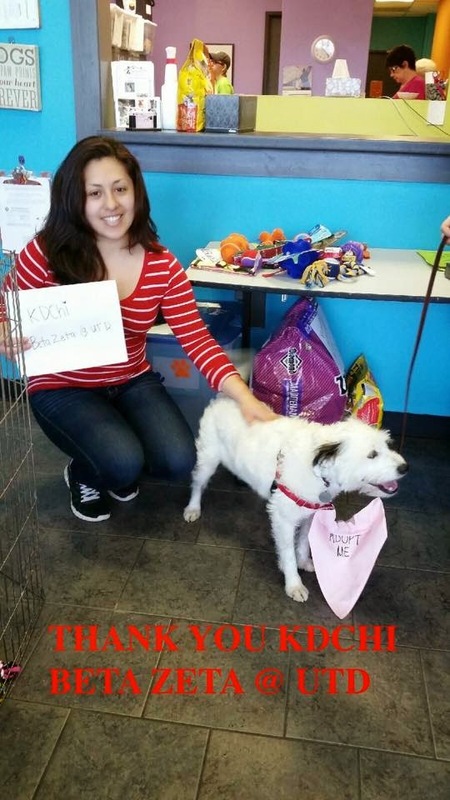 Macy’s Foster Mom loved this light pink bandana that she slipped onto her leash. Now everyone will know that love bug Macy is available for adoption, no matter where she goes! Thank you again to all of our supporters and donors who use their time & talents to help our dogs and cats. We couldn’t do it without you!